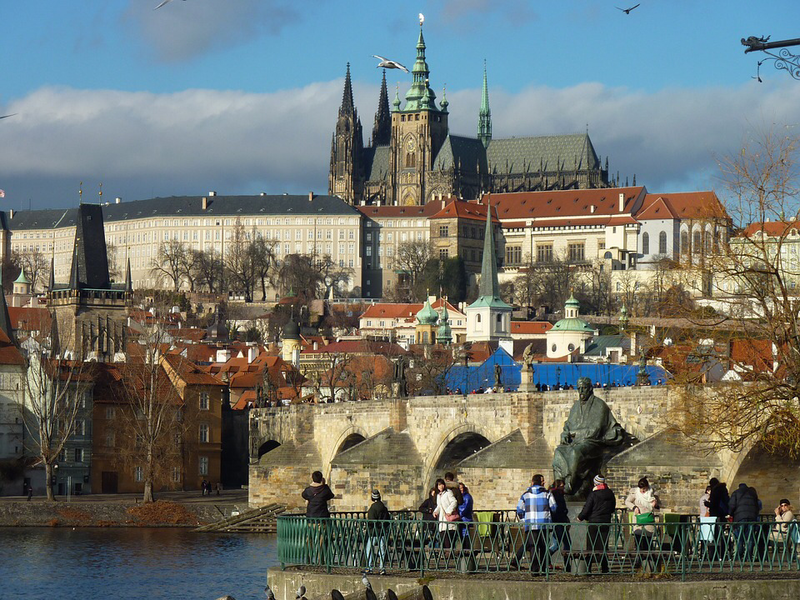 Prague Castle, the seat of Czech Kings, is the oldest part of the city. Situated high above the Moldau River, this 1,000-year-old fortress is crowned by the magnificent 14th-century St. Vitus Cathedral. In addition to witnessing centuries of architecture and history, on my Prague Castle tour we will stroll among palaces through royal gardens and take in beautiful views of the city below from atop the Castle hill. 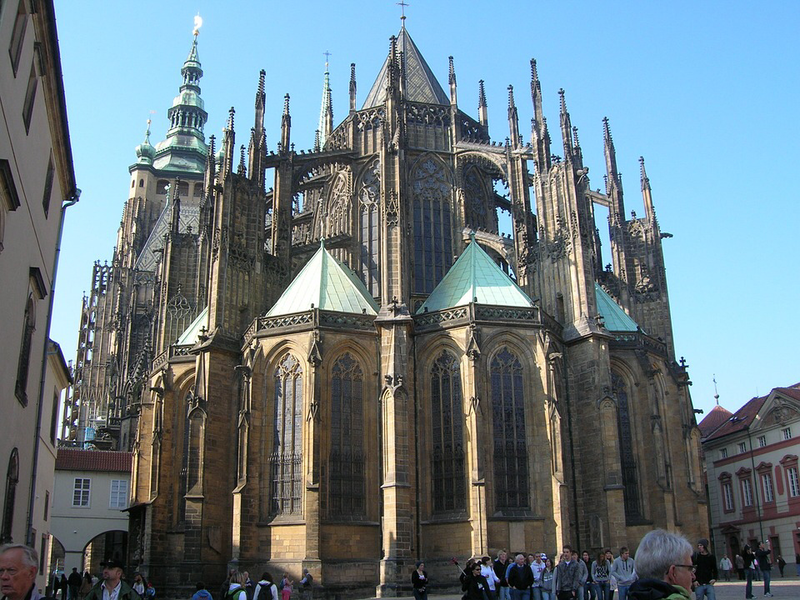 St. Vitus Cathedral is a stunning example of Gothic architecture, especially the eastern buttresses. 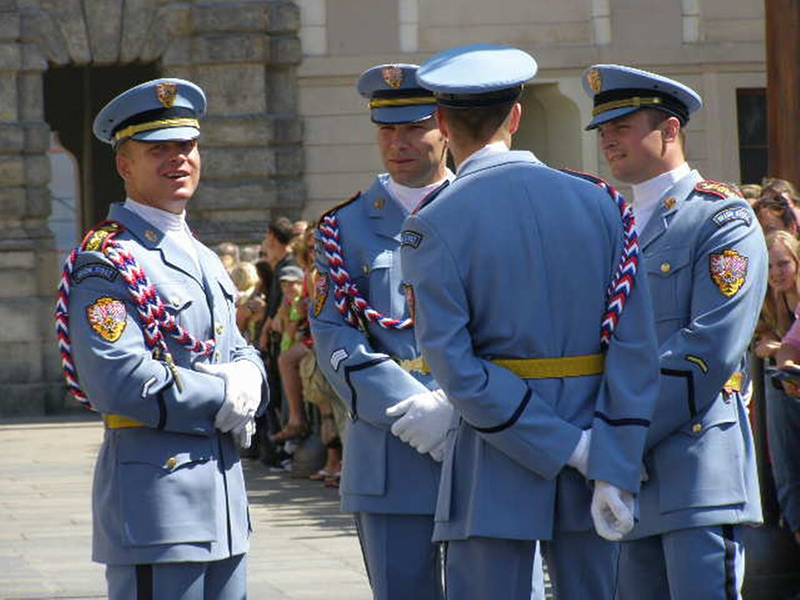 If you like the guards' snazzy uniforms, it's no accident. Learn their origin on my Prague Castle tour. The Castle offers great views of the rooftops of the Lesser Quarter.